Will this mod ever be updated again? Or maybe get a 1.12.2 version, since almost every mod in the pack is also for 1.12.2? The recipe might have been disabled with CraftTweaker. Check the scripts folder in \Instances\Sprout\scripts. 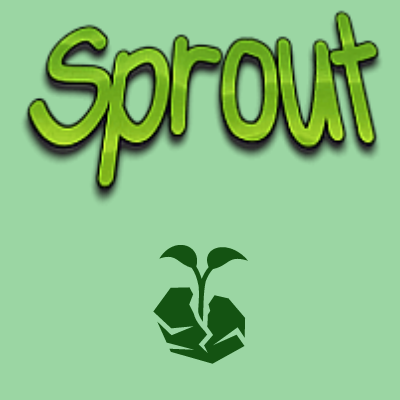 does anyone have a sprout server that is public? i can help get more players for servers via youtube. I don't know if this is still supported, but I can't find any Earthworks materials underground. I made a creative world to make sure and none of the different types of slate will spawn. The config says that they can generate, so I'm a bit confused. I'm sorry, but you are actually stupid. You have to talk to the traveler and he tells you exactly how to get started. I don't understand how people can just ignore these obvious things. Hello, malisis doors smooth animated movement doesn't work. Yes, but the youtubers have it, it works for them. In the modpack is there any way to catch infinity orb from ars magica 2 in some dungeon? because catching them just killing the bosses of the mod is kind of tiring. shopkeeper he does not sell the armors that cost 68 emerald, it is no use putting 64 in one sloot and 4 in the other, npc does not accept. Any problems updating to Sprout-0.11.0 from Sprout-0.10.0 or just start from scratch. I'm a bit curious, how do I add Vanilla Builder Extension's Grass Slabs to world generation like in this modpack. anyone have a sprout server i can join? How do I access the map? This is my first time ever playing a Modpack, so I'm a little lost, but I love it either way! Anyone know how they made Custom NPCs spawn across worlds? I want to do this for my modpack but I have no idea how to do this. I was wondering the exact same thing. Although Lockdown is not in the pack, I think either Lockdown or Recurrent Complex could help accomplish this.